August 17, 2018 – Hughes White Colbo Wilcox & Tervooren, LLC is pleased to announce that three of its attorneys, Kimberlee Colbo, Steven Tervooren, and Jimmy White as well as Of Counsel attorney Fred Odsen, were selected to be included in the 2019 Edition of The Best Lawyers in America, published by Best Lawyers. These designations are the result of recognition by their peers in the legal industry for their professional excellence. Kimberlee Colbo was designated as a “Best Lawyer” in the practice areas of Insurance Law and Personal Injury Litigation–Defendants. Steven Tervooren was designated in the practice areas of Eminent Domain and Condemnation Law, Environmental Law, Litigation–Environmental, Litigation–Real Estate, Personal Injury Litigation–Defendants, Product Liability Litigation–Defendants, and Real Estate Law. Jimmy White was designated in the practice areas of Insurance Law and Product Liability Litigation–Plaintiffs. And, Fred Odsen was designated as a “Best Lawyer” in the practice areas of Banking and Finance Law, Bankruptcy and Creditor Debtor Rights/Insolvency and Reorganization Law, Business Organizations, Closely Held Companies and Family Businesses Law, Commercial Finance Law, Commercial Litigation, Commercial Transactions/UCC Law, Corporate Law, Litigation–Bankruptcy, Litigation–Real Estate, Mortgage Banking Foreclosure Law, and Real Estate Law. In addition, three Hughes White attorneys were given a 2019 “Lawyer of the Year” designation by Best Lawyers. 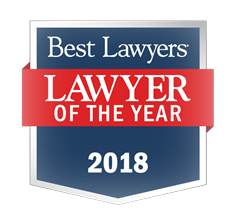 “Lawyer of the Year” honorees receive this award based on their extremely high overall feedback within specific practice areas and metropolitan regions. Kimberlee Colbo received this honor in Insurance Law in Anchorage; Steven Tervooren in Litigation–Environmental in Anchorage; and Of Counsel attorney Fred Odsen in Litigation–Bankruptcy in Anchorage. 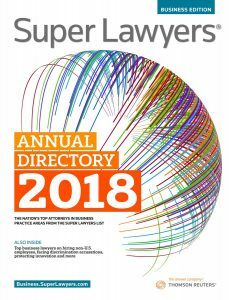 July 17, 2018 – Hughes White Colbo Wilcox & Tervooren, LLC is pleased to announce that three attorneys have been selected to the 2018 Alaska Super Lawyers list, an honor reserved for those lawyers who exhibit excellence in practice: Kimberlee Colbo in the practice area of Personal Injury – General: Defense, Steven Tervooren in the area of Personal Injury – Products: Defense, and Jimmy White in the area of Civil Litigation: Defense. Super Lawyers is a rating service of outstanding lawyers from more than 70 practice areas who have attained a high-degree of peer recognition and professional achievement. The selection process includes independent research, peer nominations and peer evaluations. Selections are made on an annual, state-by-state basis. The objective of the annual listing is to create a credible, comprehensive and diverse listing of outstanding attorneys that can be used as a resource for attorneys and consumers searching for legal counsel. Only 5% of attorneys evaluated are selected to Super Lawyers. June 5, 2018 – Hughes White Colbo Wilcox & Tervooren is the 2018 recipient of the Alaska Bar Association’s firm Pro Bono award. The Bryan P. Timbers Pro Bono Award recognizes the extraordinary pro bono efforts of small/solo practitioners, law firms, and public-sector agencies toward closing the justice gap to Alaskans with civil legal needs. Since 2008, two members of the firm, Jimmy White and Kimberlee Colbo, have spearheaded a spirit of pro bono at their firm. 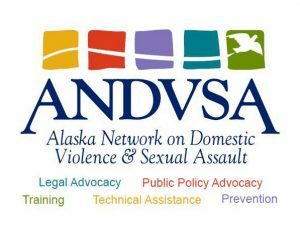 Jimmy and Kimberlee’s pro bono efforts have focused on representing a number of women through the Alaska Network on Domestic Violence and Sexual Assault (ANDVSA) and assisting them with the legal aspects of leaving abusive relationships and moving forward with their lives. Jimmy and Kimberlee’s pro bono work is supported by fellow members Paul Wilcox and Steve Tervooren, and by all of the firm’s associates, paralegals and other support staff. 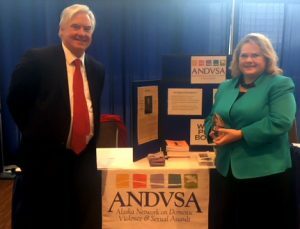 ANCHORAGE, ALASKA – The Alaska Network on Domestic Violence & Sexual Assault (ANDVSA) announced that Kimberlee Colbo was the ANDVSA December Volunteer Attorney of the Month. After many years of focusing on insurance law, in 2010 Kimberlee began broadening her field of practice to include family law and became increasingly familiar with the field. With support from ANDVSA’s resources, she began doing pro bono work for the organization. Since she began volunteering in 2010, Kimberlee has handled six cases for ANDVSA. “When I started practicing family law, I developed the knowledge to take on pro bono domestic violence cases. It was a wonderful feeling, because I can really make a difference for people who need the help,” she says. “It’s fulfilling to work on behalf of my pro bono clients. They’re incredibly grateful and appreciative of the help provided,” says Colbo. ANDVSA expressed their gratitude to Kimberlee for helping their clients feel safe and secure on their Facebook page. Learn more about ANDVSA at andvsa.org. ANCHORAGE, ALASKA – Hughes White member, Jimmy E. White Esq., has been recognized by the Global Who’s Who as a Top Lawyer for outstanding contributions and achievements in the field of Law. Jimmy E. White Esq., earned his J.D. from Walter F. George School of Law in 1999. He is a Member at Hughes White Colbo Wilcox & Tervooren, LLC, in Anchorage, Alaska. Mr. White focuses his practice on family law and business litigation, with 85% of his practice devoted to litigation. Jimmy has an AVVO rating of 10.0 and has received honors including the Top Ten Attorney Award, awarded by the National Academy of Family Law Attorneys in 2015 and 2016, America’s Best Lawyers, Alaska Super Lawyer since 2012 and has been listed as one of the Nation’s Best Lawyers since 2009. Mr. White is a member of the State Bar of Alaska, Association of Defense Trial Attorneys, DRI, Anchorage Chamber of Commerce and the American Bar Association. The Global Directory of Who’s Who publishes an annual hard cover biographical registry, honoring successful individuals in the fields of Business, the Arts and Sciences, Law, Engineering and Government. Based on one’s position and lifetime of accomplishments, we honor professional men and women in all academic areas and professions. Inclusion is limited to individuals who have demonstrated leadership and achievement in their occupation, industry or profession. ANCHORAGE, ALASKA – It’s spring in Alaska. And the attorneys and staff of Hughes Gorski Seedorf Odsen & Tervooren, LLC, are ushering it in with fresh changes to the firm starting with their moniker. 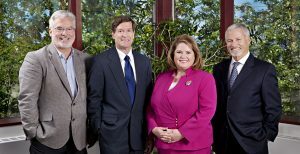 Effective Mon., April 24, the firm’s name changed to Hughes White Colbo Wilcox & Tervooren, LLC. The new logo, featuring HW in its center, is meant to provide a simple way for people to remember the name of one of Alaska’s oldest law firms — shortening it colloquially to Hughes White. Along with the name change, the firm has moved downtown to Resolution Plaza nearer to Anchorage’s courthouses. With four members, two associates and nine employees, the members decided that moving downtown was the right thing to do. “It will be more efficient for our clients and we’re excited about having more room,” Colbo said. “It will be fresh and invigorating for the entire staff. And it’s like going back to our roots,” she added, referring to the firm’s original downtown offices. Founded in 1939, Hughes White Colbo Wilcox & Tervooren, LLC, has met the challenging legal needs of businesses and people throughout Alaska for more than 75 years with a focus on litigation, product liability, insurance, environmental law, condemnation and eminent domain, employment law, and family law as well as probate and estate planning. The firm’s new offices are located adjacent to the Tony Knowles Coastal Trail with views of Sleeping Lady and the Port of Anchorage on the first floor of Resolution Plaza at 1029 W. 3rd Ave., Suite 110. While some things have changed, one thing remains the same — Hughes White’s attorneys continue to work diligently to serve local, national and international clients with integrity. For more information about Hughes White Colbo Wilcox & Tervooren, LLC, call 907.274.7522 or write to info@hugheswhite.com.